Gigya is a third part service provider which can let you manage the authentication providers like google, facebook, yahoo, etc..
To have it in your sharepoint follow below approach to authenticate the user using gigya. 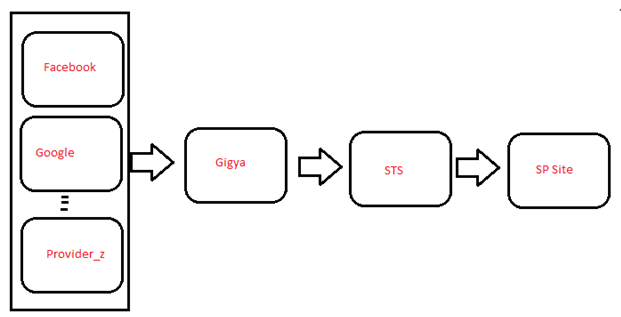 Create STS to authenticate to SharePoint site by getting the user information from Gigya app. Registering the SSL certificate using PowerShell commands.